How Much Does It Cost to Fly With a Dog? 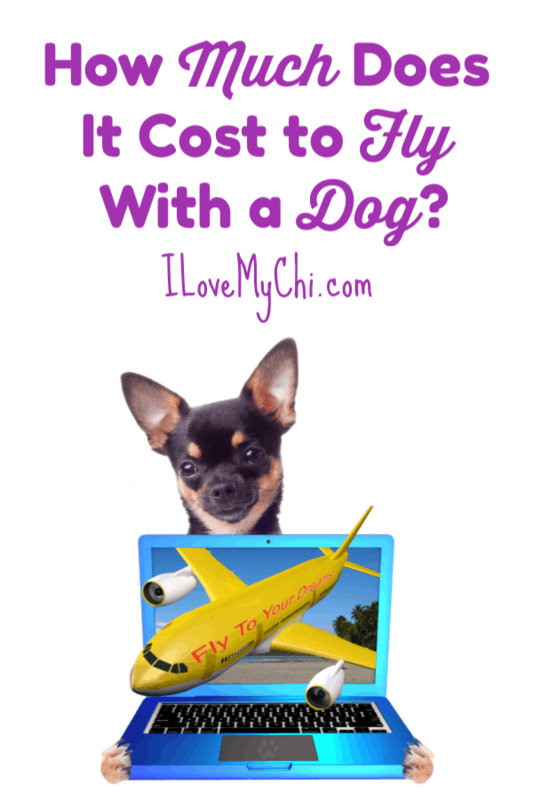 | I Love My Chi I How Much Does It Cost to Fly With a Dog? % How Much Does It Cost to Fly With a Dog? 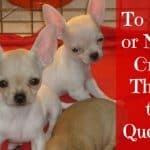 You are here: Home / Miscellaneous Chihuahua / How Much Does It Cost to Fly With a Dog? 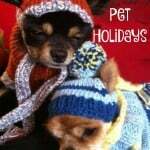 Traveling with your dog is relatively affordable and can also be extremely comfortable for your pet. Any dog which has had crate training at a young age will happily hop aboard an airline for a short flight. Most airlines only accept one pet per person on domestic flights but there are exceptions to this rule. The size of your dog determines the flight cost and all pet travel bookings need to be reserved in advance. This guide will take you through a look at everything that you need to know to fly with your pet. The fee charged comes separate from your ticket. Prices for flying with a pet range between $100 and $200 each way. Almost all airlines allow you to bring your dog into the cabin with you in an airline approved soft pet carrier that has to meet certain size limitations. . The distance of the flight determines the cost of the trip. Your dog will be kept under your seat or in front of you at your feet. Only small dogs under 20 pounds are transported in this manner due to size constraints. 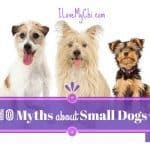 Larger dogs (Check out some of these!) will be kept in their crate and stored in the cargo hold. Not all airlines allow large dogs to be transported but most do. The Humane Society actually recommends flying pets in cargo rather than the cabin for safety reasons. The number of pet carriers allowed in the cabin and cargo hold is limited for each flight. This is why early reservation of your seat and place for your dog is essential. The longest flights that dogs are allowed on span 12 hours. This is a massive amount of time for a large dog to be left alone in storage. Always consider your dog’s training and temperament before taking them along on an extended flight. Many airlines don’t’ allow any dogs in the cabin during international flights. So be sure to do research before booking an international flight. Service dogs are of course exempt. In this case, small dogs and other animals will have to travel in the cargo hold for the duration of the flight. Service dog owners need to carry a letter from a licensed mental health professional. Service dogs will be allowed to sit on the lap of their owners, or on the floor at their feet. Obtaining a letter of recommendation for a service dog should not be a problem for most owners. The majority of service dogs are directly obtained at the recommendation of a health care professional which gives owners the certifications needed to obtain permits for traveling. Certain airlines allow small dogs which are capable of being carried in carry-on luggage on their flights with no additional surcharge. A proper transport container is needed with the only exceptions being service dogs such as guide dogs and hearing dogs. Dogs which have undergone proper crate training should have no problem traveling. Free from separation anxiety and left in the sanctuary of their crate, this is a practice which all young dogs should adopt. Long flights and untrained pets result in extreme anxiety, damaging the bond between owner and dog. Even a short domestic flight can be distressing to a dog which is used to being at its owner’s side and nowhere else. Dogs can even be crated side-by-side, easing the tension of travel even more, if both have had their crate training completed. Small dogs which are not used to traveling in a confined space can become too difficult to take along as carry-on luggage unless they’re used to the exercise. Every country and every airline will have its own regulations governing the transport of animals. 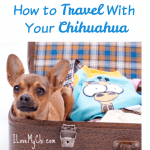 If you plan to travel with any pet, you had better take them for all inoculations, vaccinations, and any possible precautionary medication advised as a part of entering any particular country. A dog leaving the environment that it was raised in, can experience problems acclimatizing, and fending off local viruses and bacteria. A checkup in preparation for travel will award you with the documentation that you need to make your booking. If you have a particularly anxious dog, consider asking your vet for a tranquilizer or sleeping medication so that they have a peaceful journey all the way. Most animals need to be checked in at least two hours before a flight. As mentioned, the limit for most airlines is one dog per passenger, but some allow two if they are small enough. 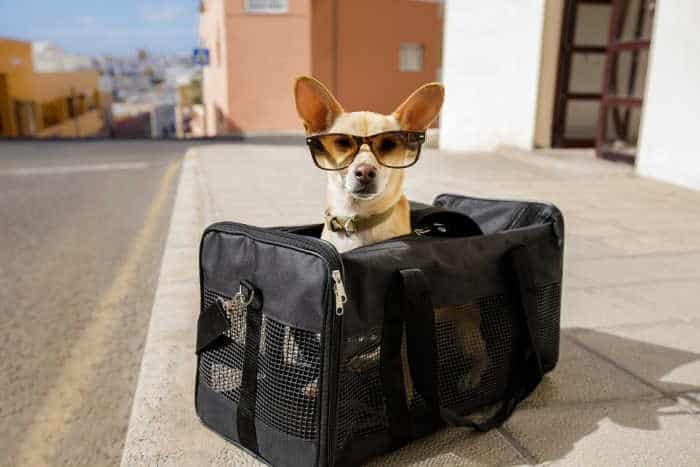 Always check with your airline and all connecting routes to see what rules and legislation govern the transport of pets. Some owners take the extra time to plan their flights according to airports that provide a pet relief area. If you’re worried about leaving your dog in a carrier for a long flight, keep this option in mind or they’ll be locked up for the whole trip. The surcharge for your dog depends largely upon which country you’re flying from. You can, however, expect a general price range falling between $70 to $200. It’ll rarely be less or more. Just remember, you need to factor in your vet’s bill as well. Thank you for this information. 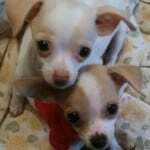 We will be flying in the coming year and I had no idea where to start about finding out about taking our Chi with us. This will be a tremendous help. I’m so glad Sandra! Let us know how your trip goes with your chi. I recently returned from traveling with my 4# chi. She is certified as e.otional support animal but I think I am more HER support. She is a little shy. Vet statement, Psych statement, and one from me stating she doesn’t bite were required 72 hours before the flight. She had only been in a carrier a couple times before this trip. We had to take a bus 5 hours to get to the airport and she stayed in the carrier with no problem most of that time. But then I did have her on my lap. I was able to Pat her and reassure her. When we got to the airport I checked my baggage and found a way outside to find a place to potty. I didn’t worry about anything because my flight was only two and a half hours away. We went through security and was told the flight was delayed. Okay it was nighttime and she generally sleeps all night. Once we got to the gate we found that the flight was delayed and the only way to take her for another walk would be to go through security again. Much too far to go. After waiting 5 hours we ended up on the flight four four more hours. At least she was able to walk around in in the airport. On the plane she either needed to be on my lap or under the seat in front of me. Even though there was an empty seat next to me dogs are not allowed just sit in that seat even if it were paid for. She curled up on my lap and slept for 4 hours. By the time we landed and took a cab to a hotel we have been traveling for 18 hours with only two potty breaks. She did amazing. Returning home we spent two weeks driving cross-country staying at different motels and friends houses every night and I was so glad that she had learned how to ride in the carrier cuz it was a new car that I was driving and at least I was able to buckle her in. Delays are something you have to realize can happen. I would have been worried sick if she had been alone in a crate in checked baggage for 12 hours. Do line the carrier with piddle pads just in case and carry poop bag. Koko did leave ber mark at airport after getting off flight before we could get outside. Wow she really did do well for such a long ordeal. What a little trooper! Good point about lining the carrier with peep pads. Thanks!